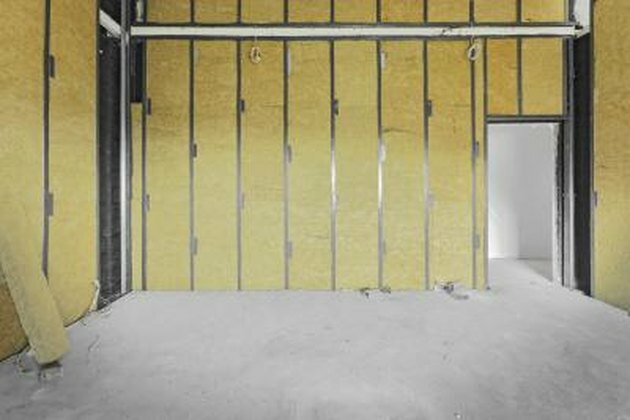 Fireproof insulation materials come in five primary forms. These include chopped fibers, foam, fibrous mats and textiles, board or block insulation, films and foils. The fire resistance of each form depends largely on the material of which it is composed. Fireproof insulation materials greatly increase your ability to escape a fire. Chopped fibers are loose and flow into holes and tight places more readily. Loose fibers can also be pressed into a mat or clothlike form by weaving, knitting, braiding or pressing with an adhesive. Foam insulation is made from low-density plastics and other polymers and are often sprayed on vertical or overhead surfaces in buildings or inside machines or electronics. Block and board insulation is made into sheets, strips, plates or custom shapes. Films, foils, laminates or ceramic composites increase fire resistance in close spaces. Nearly all insulation is rated fireproof. Most, however, only resist fire. Fiberglass bats shouldn't be used where temperatures exceed 212 degrees F. Glass wool handles temps up to 1,220 degrees. Many fiber mat polymers handle temperatures up to 2,220 degrees. 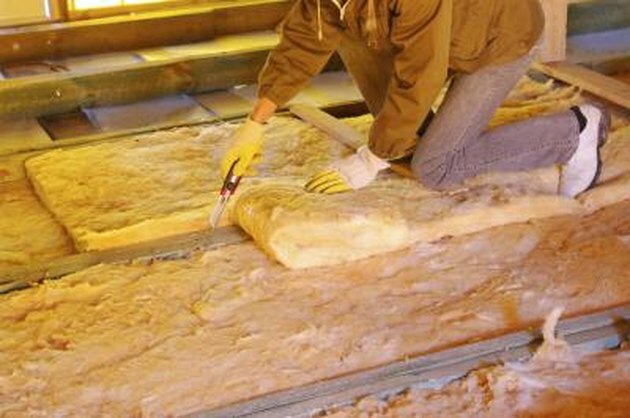 Silicate-based (asbestos) insulation routinely handles temperatures in excess of 3,000 degrees. 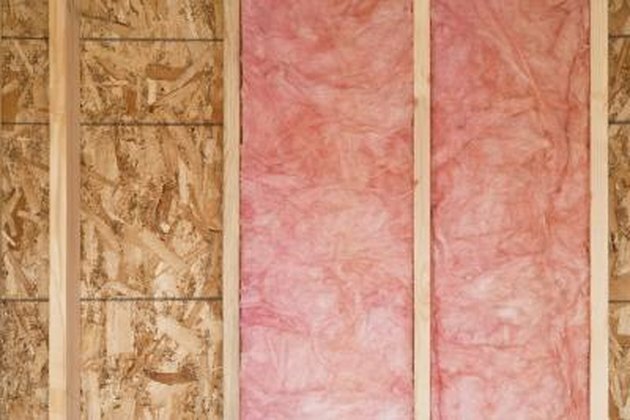 Insulation materials may also be designed to resist chemicals, electricity, fuels or solvents. Fiberglass is melted glass, spun in a centrifuge whose holes spin out glass fibers like a cotton candy machine. Fiberglass itself won't burn, although the paper or foil that fiberglass bats are covered with will burn. 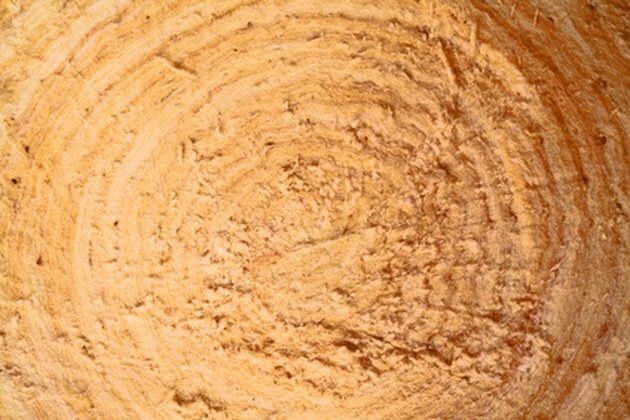 Mineral wool is recycled from iron ore blast furnace slag or made directly from natural rocks and is virtually noncombustible because of its high melting temperature. Mineral wool excels in thermal applications. Glass wool, made from fused sand and recycled glass, traps air and blocks heat, cold and noise. Lightweight, pest-proof and flexible, wool insulation installs easily. You can grow plants in it and make gaskets and brake pads from it. 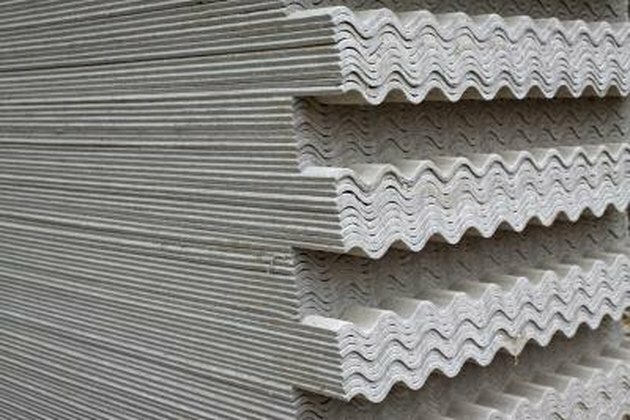 Fibrous mat insulation is made from six different minerals collectively known as asbestos. Asbestos possesses great strength, high resistance to heat and chemicals and doesn't conduct electricity. 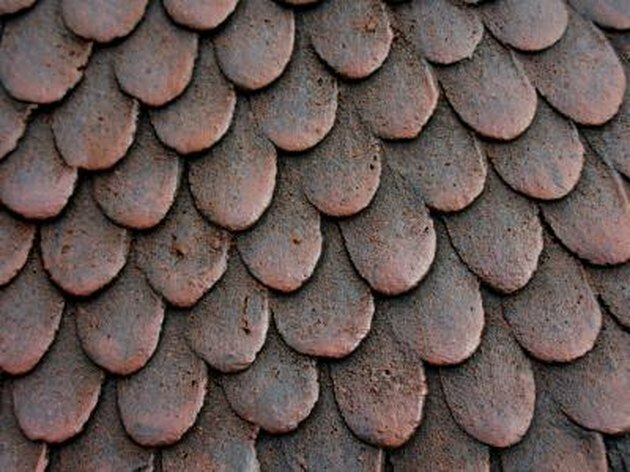 Despite the well-known health risks, few alternatives are available to replace asbestos, and it continues to be used for everything from shingles to clutch parts. Various low-melting-temperature polymers and aluminum oxide alternatives are expensive and lack the effectiveness of asbestos. Cellulose of the type made from recycled newspaper resists fire due to added chemical flame retardants. It is not fireproof, however. Cellulose treated with fire-resistant chemicals will ignite at 300 degrees F, losing its fire-retardant properties. In its foam incarnation, it is less combustible, but still may ignite at high temperatures. 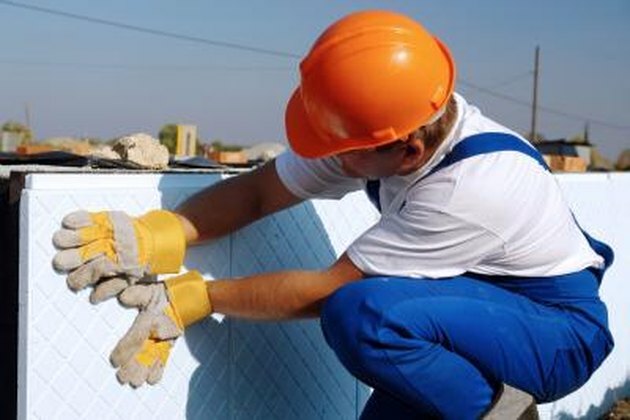 Polyisocyanurate and polyurethane foam insulation has been known to produce gasses that cause respiratory distress, liver and reproductive damage, headaches and eye irritation. 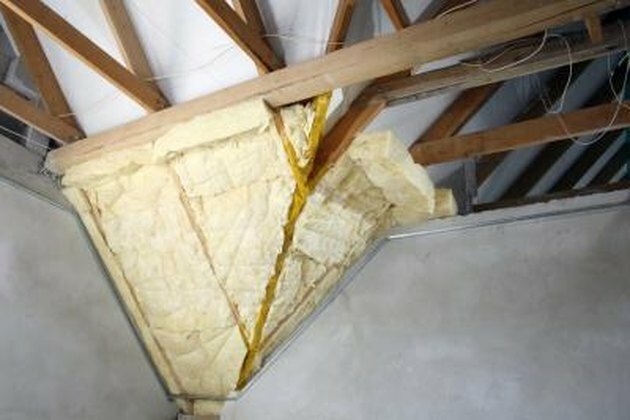 Rigid foam insulation using expanded polystyrene doesn't produce harmful gasses. Icynene produces an open cell foam using a mixture of carbon dioxide and water. Air Krete ™ foam is made from magnesium oxide from seawater. Air Krete is cleaner to manufacture and doesn't produce noxious gases. Films, foils and laminates are thin-application insulation products made with foams, fabric, metal, glass, ceramic, resin or other materials. They are used in electronic or industrial applications where nearby heat sources can damage fragile electronics. Ceramic-based insulation is often used to form heat-resistant shapes for pipe supports, chimney flues or in machinery where vibration or impact might dislodge loose insulation. Ceramic insulation blocks can be cut into shapes for special applications.